Works with any PetSafe In-Ground Fence, excluding PetSafe Ultra Smart In-Ground Fence Systems. 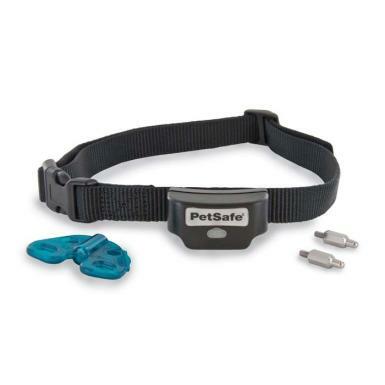 Rechargeable, waterproof receiver collar with low battery indicator. 4 adjustable levels of correction plus tone-only mode. Progressive correction eliminates lingering in the warning zone. For pets over 5 lbs.